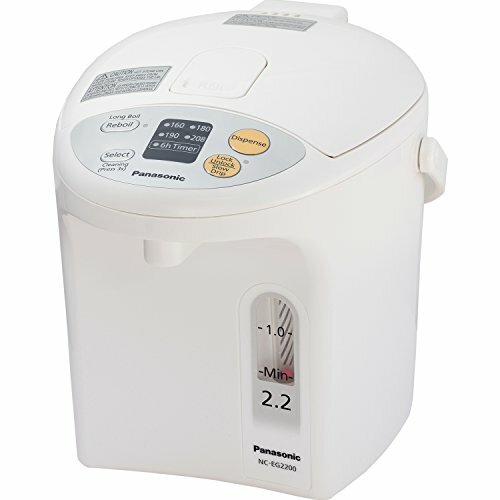 The Panasonic 2.2-Liter Thermo Pot is a 2-liter thermo pot that features a slow-drip coffee option. It has a Bincho-tan charcoal-coated container with an easy-to-read water gauge that allows you to see how much water is remaining in the pot. The unit has a 360-degree rotating base, a 6-hour timer and an LCD display.